Buying and selling a used car can be scary, intimidating, and time-consuming. Pricing is not transparent, it’s hard to know if you’re buying a quality vehicle, and financing options are sometimes limited. And, of course, it’s not fun shopping at a dealership full of salesmen in full-length trenchcoats smoking cigarettes eyeing you like a kid ready to swing a mallet playing whack-a-mole. That’s why a lot of people choose to handle car transactions themselves. Common strategies in the sale-by-owner market include putting a sign on your car’s window, parking alongside a busy street, listing in the newspaper, or posting on listing services such as AutoTrader and Craigslist. Then you wait, hoping and praying that you’ll quickly find a reasonable and friendly buyer who will offer you top dollar for your car. Unfortunately, that is not usually how it goes. 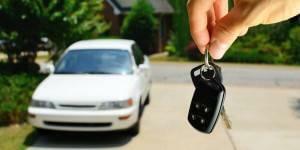 When listing a car, don’t provide your phone number or email address until you are comfortable with the buyer. Take advantage of the email anonymizer on Craigslist that lets you stay anonymous until you are ready to lift your veil. Provide specific instructions in your listing on how to respond such as, “Anyone interested should email me back with their phone number and email address so that we can connect.” Don’t be afraid to blow someone off that doesn’t follow your instructions…they are likely not serious buyers or may be trying to scam you. The typical Craigslist scams involve a quick email response to your ad asking a simple question. Their goal is simply to get your email address. Avoid responses that simply say, “what’s your lowest price,” or “any accidents?” or “i’m looking for this exact car,” or anything other message that doesn’t adhere to the instructions that you presented in your listing. If someone’s name and email name match, but the email name has either three or four letters before the @, it is most likely a scam. When Peter Smith writes you back and his email address is “[email protected]” it is likely a scam. If someone’s “story” is very unusual, beware. “Hi, I am stationed in Baghdad and want to buy your car for my dad in Cleveland, please call me at…” Sound fishy? That’s because it’s a scam. When calling a potential buyer for the first time, use your work number or a public phone as opposed to your home or cell number so the scammer can’t snag your phone number through caller id. If you get a voicemail that is NOT the potential buyers voice and is just a computerized answering machine, call back a few times until you get a person or just disregard it. If you are comfortable enough with the prospect to schedule a test drive, plan to meet during the daylight in a highly populated location that is convenient for you. You should be the home team…meet at a place that makes you comfortable. Once you agree on a sales price, complete a simple bill of sale signed by both buyer and seller. Examples can be found online and should show vehicle info (year, make, model, VIN), odometer, sales date, price, and both buyer’s and seller’s name. To complete the sale, you will sign over the title to the buyer, including the sales price, date, and odometer. Do not let the buyer talk you into modifying the pricing on the contract or on the title so that their taxes are minimized. Don’t be a party to tax fraud by helping a stranger save a few tax dollars. Also, accept only cash, a cashier’s check, or a bank loan check, the latter two of which you should verify by calling the issuing bank. Common sense is king. If it smells, looks, or feels fishy…run! We think the private car market is the way to go, as you can find great cars at great values. The hassle and potential danger of the process is real and precisely why we started CarLotz. If you are uncomfortable doing any of this yourself, please reach out to one of our stores via our Contact Us page, and we will help you out. Good luck getting a great car!